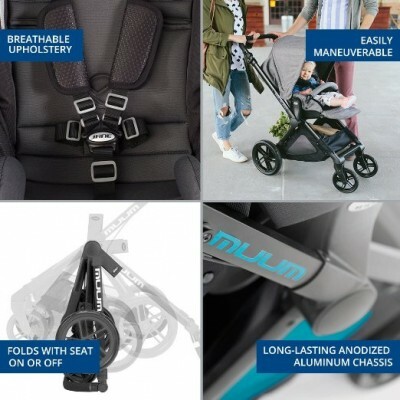 Muum - "The Perfect Balance" Creating a stroller this comfortable, well built, and versatile meant walking that fine line between high-end quality and affordability. Not only does this stroller stand out in a crowd for it's beautiful design and stunning form, its affordability makes it economically approachable. 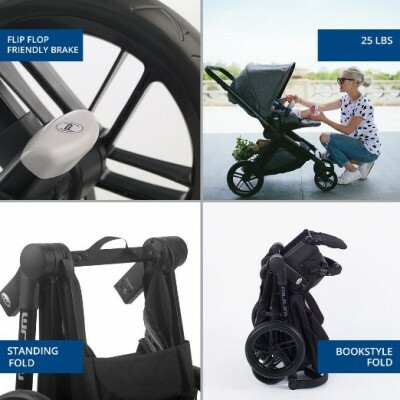 Muum - "The Perfect Balance" Creating a stroller this comfortable, well built, and versatile meant walking that fine line between high-end quality and affordability. Not only does this stroller stand out in a crowd for it's beautiful design and stunning form, its affordability makes it economically approachable. The beautiful European design inspiration allows it to be both attractive and durable at the same time. The frame is constructed of anodized aluminum tubes that are designed to fold down smaller, making it easier to carry, store and transport. 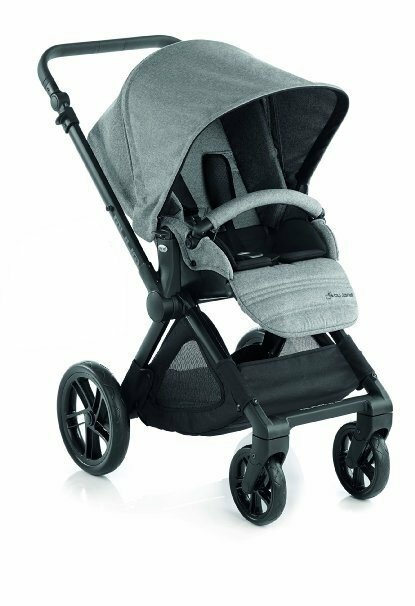 The materials used throughout are responsibly sourced and at the same time maximize the durability of the stroller, to keep things balanced and to keep up with your ever-changing, ever-moving life. 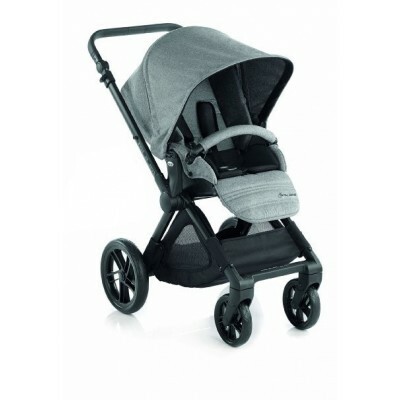 SLEEK DESIGN, QUALITY CONSTRUCTION This stroller takes your strolls to a whole new level. 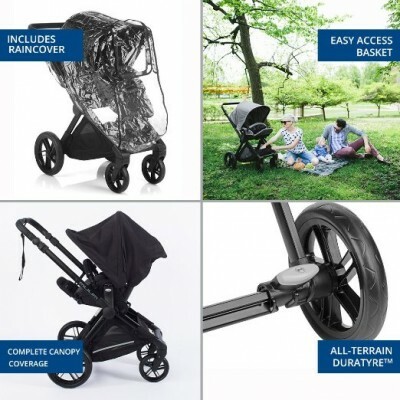 With an extra-large undercarriage storage basket and an extremely long canopy that gives your little one maximum coverage in all-weather you are ready to stroll the day away. Thanks to the Muum's anodized aluminum tube system the stroller is both light and strong and will never rust or lose color in the rain or sun. ADAPTABLE The extra wide seating and tall backrest makes the Muum the perfect fit for your child - from infant, to toddler and up to 50lbs. You can rotate the seat so your child can face the world or face you and the full recline ensures that the ride doesn't need to come to an end if a certain little someone gets tired. The strong and long lasting DuraTyresTM are suited for all terrains and with suspension in each wheel all bumps from the road are absorbed making sure that your ride will be incredibly comfortable. CONVENIENCE OF DESIGN The ride will be as comfortable for you as it is for your child with easily adjusted handlebars that offer 7 different positions and a flip flop friendly brake that only needs one simple touch. When your stroll comes to an end you can easily store your stroller. Ready, set, stroll. Born in 1928 in Barcelona, Spain, Jane has been a household name in over 52 countries for more than 80 years. Our goal is to provide something more significant, something safer, and something innovative. For more than 80 years we've witnessed those smiles, tended to those tears and watched those footsteps with baited breath. It's what makes us unmistakably who we are. It's what makes us Jané. Made to move you. Made for Your Ease of Use! The light frame and balanced form allows for effortless pushing and maneuverability. The Muum is never shaky and always the Perfect Balance. An extra-large under carriage basket, Flip Flop friendly brake, and 7 position pivot handle allows you to stroll with ease while focusing on your precious cargo. Every Muum includes a Rain Cover and Parent Cup Holder! Very EASY Return policy! The Muum features a quick and effortless fold that allows for quick storage! Shock absorption in each tire handles bumps and bruises from all types of terrain and puts the Muum in a class of its own when it comes to comfort for your child and offers you the most advanced technology of any stroller. The High Density DuraTyresTM last 40% longer than leading competition and never need air! Go and Grow seat has a three position recline and rolls up to most tables, doubling as a high chair! The Seat accommodates a child from Birth to 50lbs. Recline your Muum to the lowest position, flip up the foot rest, extend the extra-large canopy and let your little one rest comfortably. The expansive Elemental Canopy is truly an All-Weather canopy. It is wind proof, water proof, and SPF 50+. All of our materials are responsibly sourced and are machine washable. 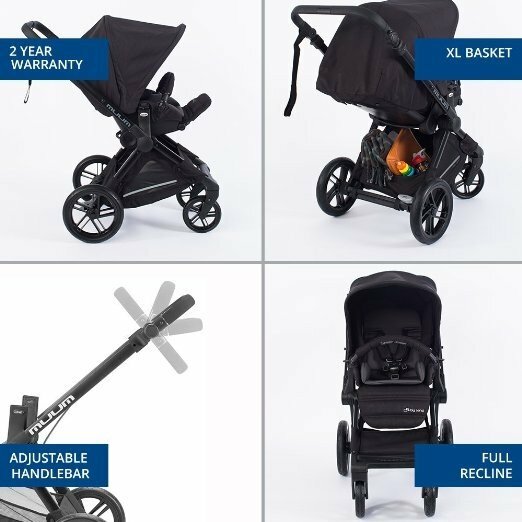 Thanks to Jane's ProFixTM system the Muum can be used as a travel system with our ultra-lightweight Koos infant seat (coming soon) or use the Link Fix infant seat adapter. The Link Fix infant seat adapter fits Graco Snugride (Classic Connect), Chicco KeyFit, Maxi Cosi Mico (all models) and the Cybex Aton (all models) and Nuna Pipa.